With one owner hailing from Nayarit and the other from Sinaloa, the influence of both coastal regions mingles at this small eatery resulting in an extensive seafood menu. 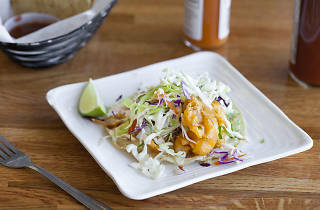 The fresh tacos ($3.50) are varied and fun, thanks partly to two of the owners’ culinary-schooled kids who bring their own twist on the family trade, including the taco revolcado (fish that has been seasoned like pork tacos al pastor) and the taco a la diabla (terrific battered shrimp on a bed of cheese with cream sauce and fresh slaw). 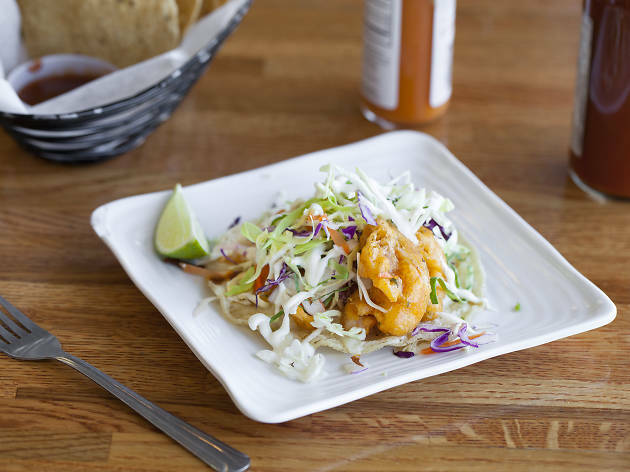 Also known for their ceviches, lobster nachos and soups, mariscos fans are sure to be pleased. El Coraloense does seafood, and they do it right. Their dishes are made with an exceptional amount of care and the quality is outstanding. The fried tacos a la diabla are crispy and flavorful and the tacos revolcado are a unique and savory experience.